Have you ever wanted long luscious hair? Are you sick of your everyday look? Minque Hair Extensions strives to give you exceptional hair extension services at a reasonable price, unlike many hair salons. We also take looking after your natural hair very seriously. Thats why we only offer 100% safe methods such as silicone lined micro beads, shrinkable tubes, clip ins and tape hair extensions. None of theses methods melt or sever your hair ensuring it remains healthy. Getting hair extensions is also a great way to get the length you want immediately while letting your natural hair grow at the same time! Minque Hair Extensions only use 100% Diamond quality European hair because it is beautiful, silky and will not tangle with ease (unlike non-remy, synthetic, Asian or Indian hair). The quality of our hair allows you to cut it, colour it straighten or curl it just as you would with your natural hair! We have an extensive colour range of 30 colours including brights such as hot pink, purple, electric blue, fluro yellow, red and green! We will always be able to get a near perfect match, however we do offer hairdressing services to ensure a perfect result. Life today is fast paced. Our days are filled with commitments like our dedication to our jobs, our devotion to our children or our endless list of daily housekeeping. Visiting a hair salon is sometimes just what the doctor ordered to get yourself feeling beautiful and refreshed but how realistic is it that you will find hours for that in your busy days? 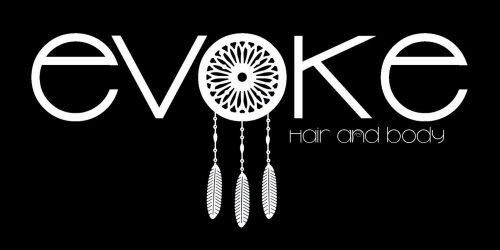 Prue's dream to create a peaceful salon for promoting inner quiet and relaxation all while meeting the needs of our hectic lives by delivering fast and quality hair services has come to light at Evoke Hair and Body. 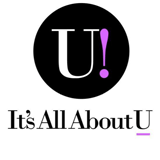 In addition to being exceptional hairstylists, Prue and her professional team are also Great Lengths Hair Extension Certified - The most natural and high quality hair extensions in the industry. It's time to visit Evoke Hair and Body to awaken the beautiful hair you have always dreamed of!